In need of a good retreat from the city lights and endless traffic, to be transported to a world of turquoise calm waters, golden sunsets and white Maldivian sand? 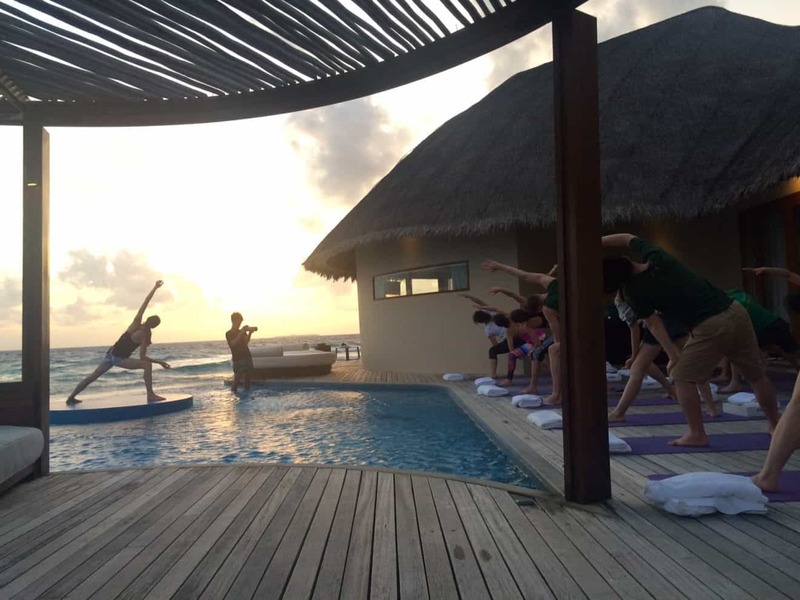 Here’s a few reasons on why Maldives is one of the top places in Asia for that yoga and wellness retreat, to recharge, rejuvenate and renew your mind. Clear all the stress, cleanse your body with fresh sea breeze and detox with the fresh fruit and coconuts found on this island. 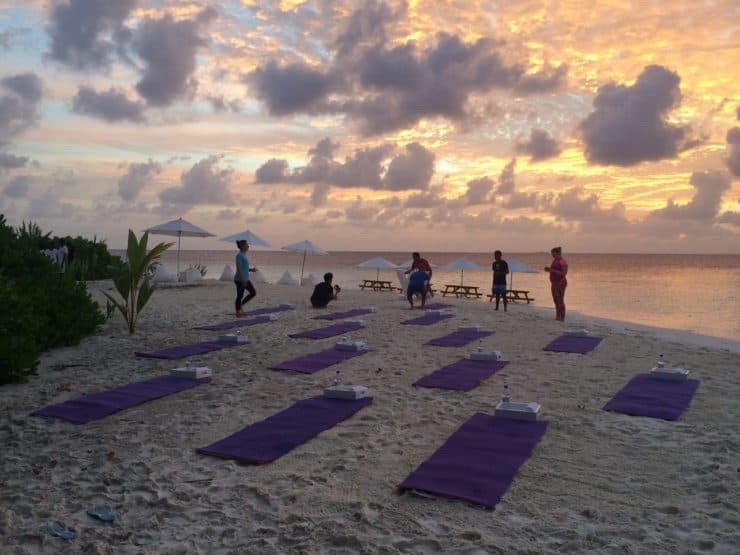 Need a Maldives yoga retreat to rejuvenate the soul? 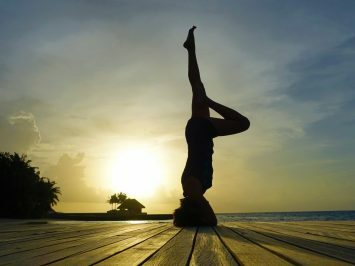 Feel the gentle sun rays glowing on your skin as you gently move into the various stretches/ moves over here at the spa. Great workout to get the pulse beating and a nice rosy morning glow. 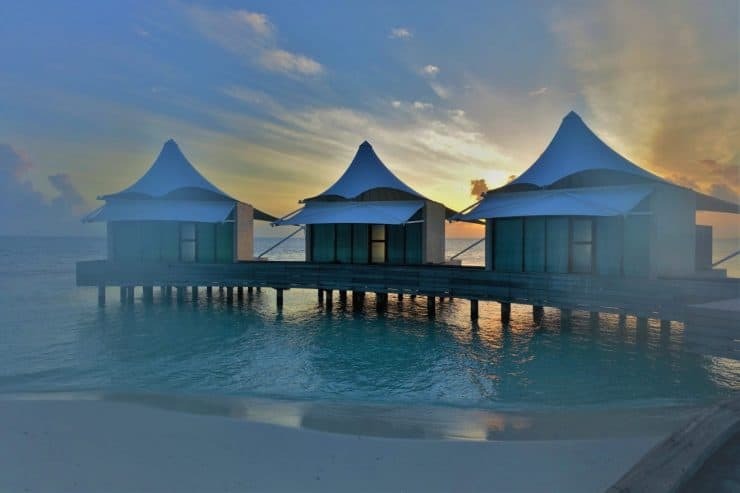 This is best experienced with a nice cup of ginger tea after which and a nice dip into the nearby beach to cool off, relax the back muscles and catch some Maldives stunning beach and marine life. 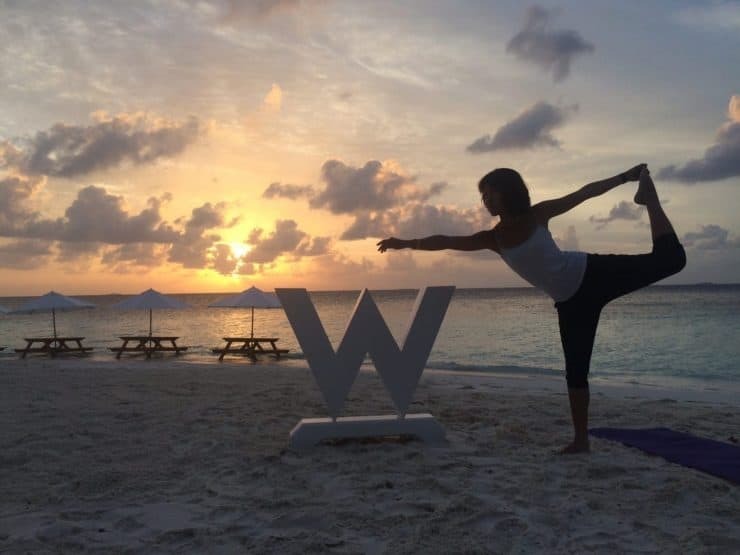 We had the honour to have yoga guru Tara Stiles conduct a few sessions of Yoga at W Maldives, and one of which was a lovely morning exotic yoga session on a private island Gaathafushi 10 minutes by speedboat from W Maldives. 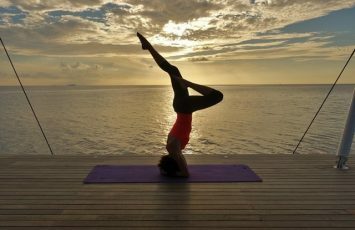 You can’t find this yoga experience easily available at other yoga popular places like India and Bali. Stunning view and crimson skies as the sun rise into the skies. The good yoga workout was then ended off with a delicious champagne breakfast and lovely array of fruit and fresh bakes, with your feet dip into the water. 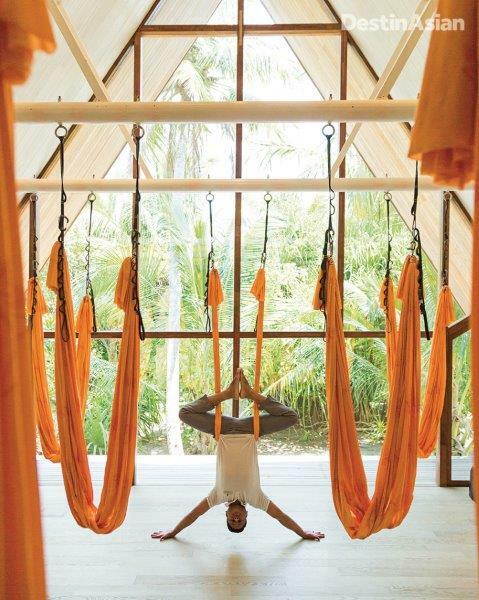 Yoga with a view like that, what’s not to love? White sandy beaches just make all the pictures look so stunning. 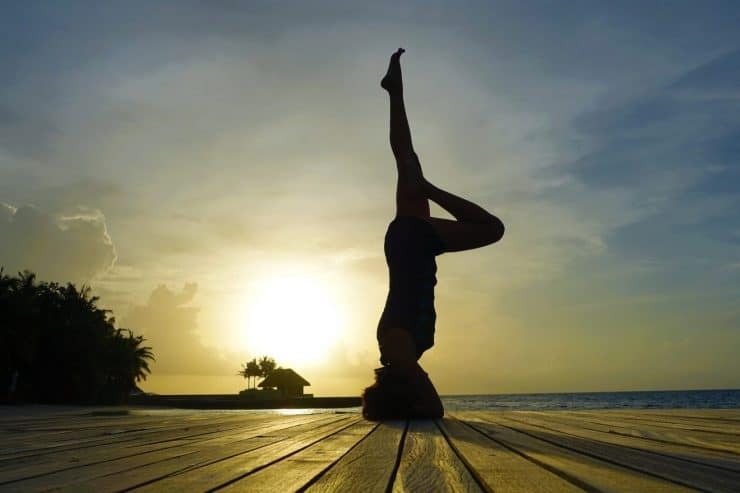 When practising yoga, it is important not to strain your body or over stretch. We are always told repeatedly to relax our back, relax our shoulders and breathe. 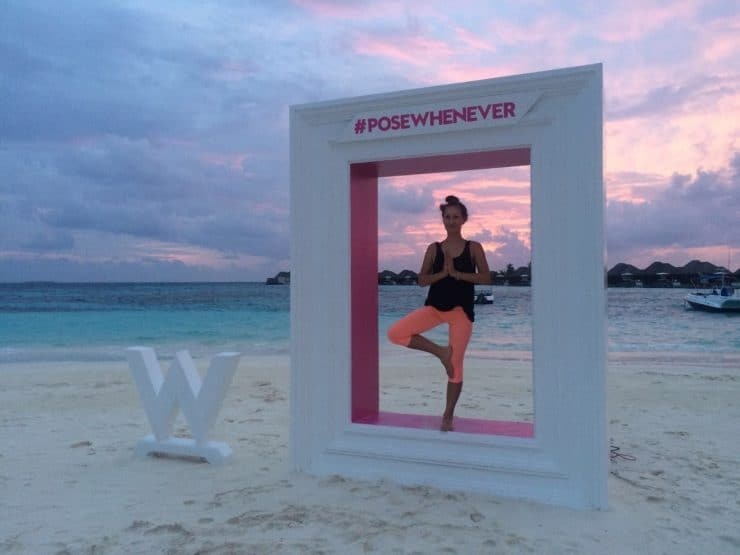 Skies of crimson pink at sunset, perfect for yogi photos! A picturesque destination for the best photos with the crystal clear water and golden sunset. 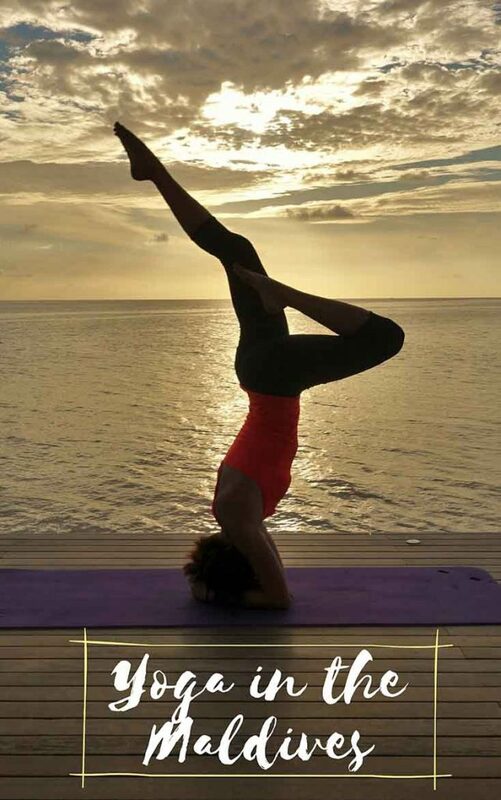 How can one resist striking a pose when you can capture the most glorious silhouette yoga pictures and shots here in Maldives. So what are you waiting for Yogis? 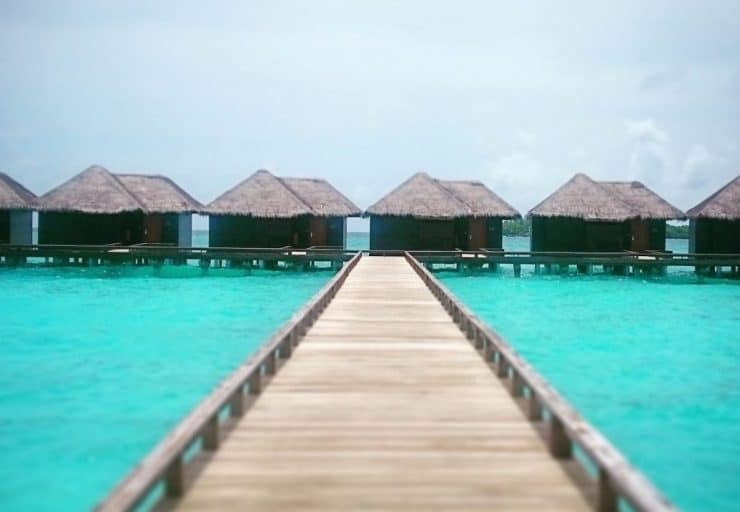 Whisk over to the Maldives and zen into this island life of white soft sand and turquoise beauty. 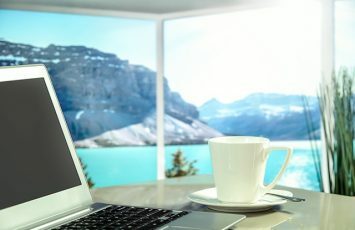 You will surely return to your city life recharged and ready to conquer the world. 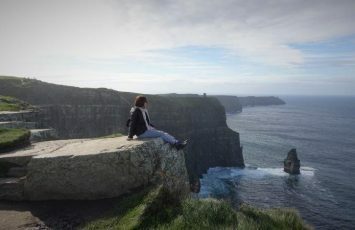 How lucky are you to have enjoyed such a lovely experience? 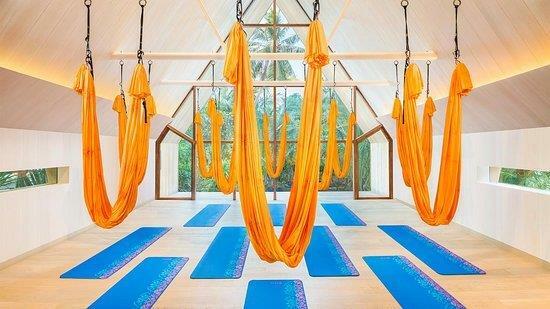 You’ve inspired me to do a yoga retreat next time I am in The Maldives. 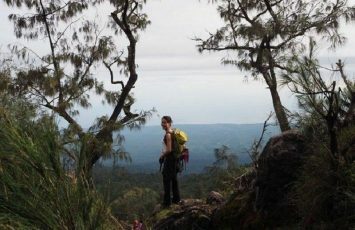 What an amazing experience… are you able to share how you came across finding a suitable yoga retreat. 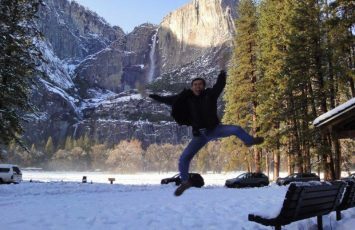 I’m headed there this summer and want to do the same. Hi Manroop! 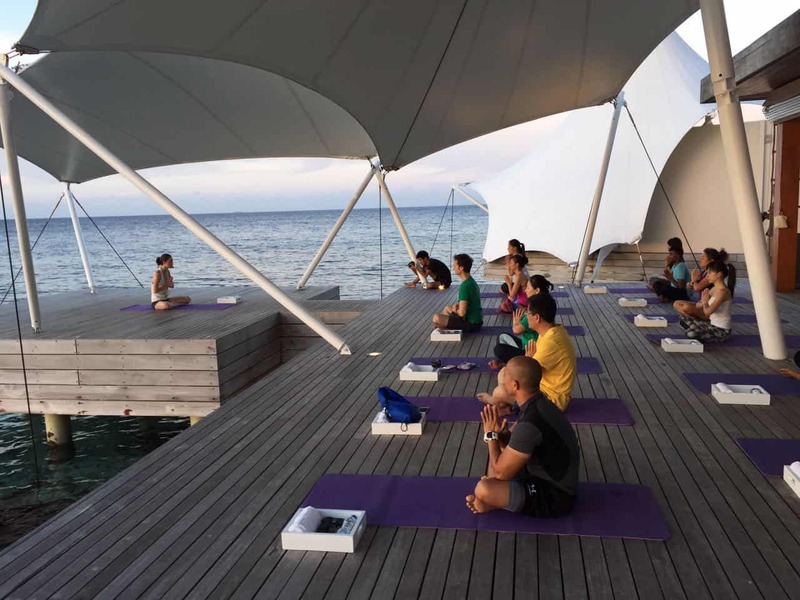 Yes, the Maldives is a beautiful destination to do a yoga retreat. 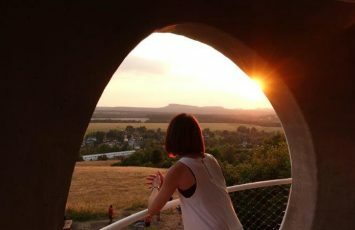 In the article, I mentioned a few hotels in that caters very well to people who love yoga and would like to get a good recharge. I hope it was helpful and do let me know how the retreat goes! 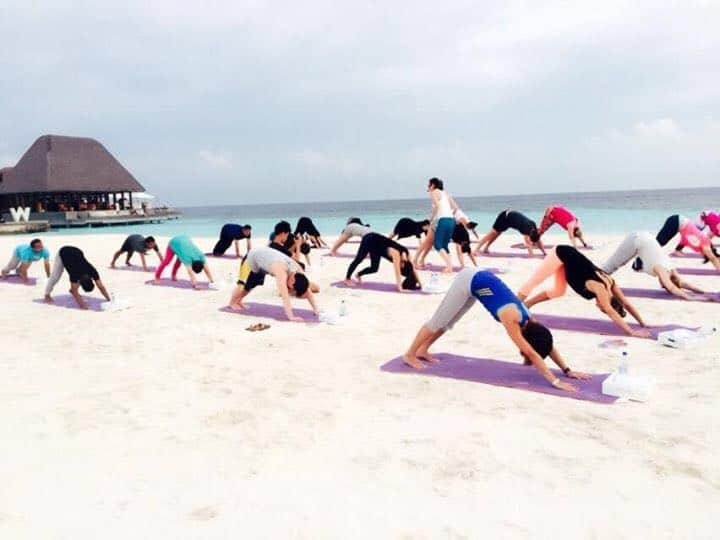 Didn’t know one can do a yoga retreat in the Maldives! Yes, its the perfect destination for it Chuen Buan, serene, peaceful and the cool summer breeze all around. 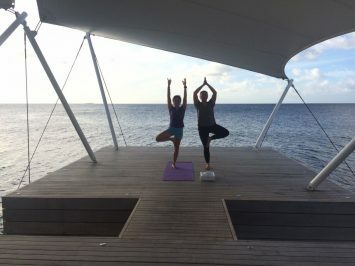 Thanks Lydia – I heard about Yoshie from Yoga Lab doing Yoga retreat in Amilla Fushi in May 2019, are you aware?